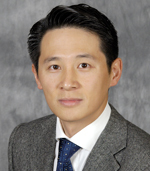 Mr. Yao, who joined Park, Vaughan, Fleming & Dowler LLP in 2003, specializes in procuring patents for complex electronic and computer technologies. The breadth and depth of his technical training from both academia and industry allows him to assist clients to protect their most sophisticated inventions. Mr. Yao also advises clients on patent portfolio management and international patenting strategies. Mr. Yao has prepared, prosecuted and obtained numerous patents relating to computer software, hardware and circuits; semiconductor devices; communication networks; and medical devices. His clientele includes both Fortune 500 and start-up companies. Mr. Yao possesses a solid technical background. He was a postdoctoral fellow in electrical and computer engineering at the University of California, Davis, in 2002–03. His research encompasses communication networks, semiconductors, circuits, optical devices, MEMS, and nano structures. He has supervised Ph.D. and master’s program students, and has taught courses in circuits, optics and networks. He also has served as reviewer for numerous IEEE and ACM journals and conferences. Mr. Yao was a research associate with Nokia Research Centers in Helsinki and Boston between 1998 and 2002, and his work was recognized with several research awards.